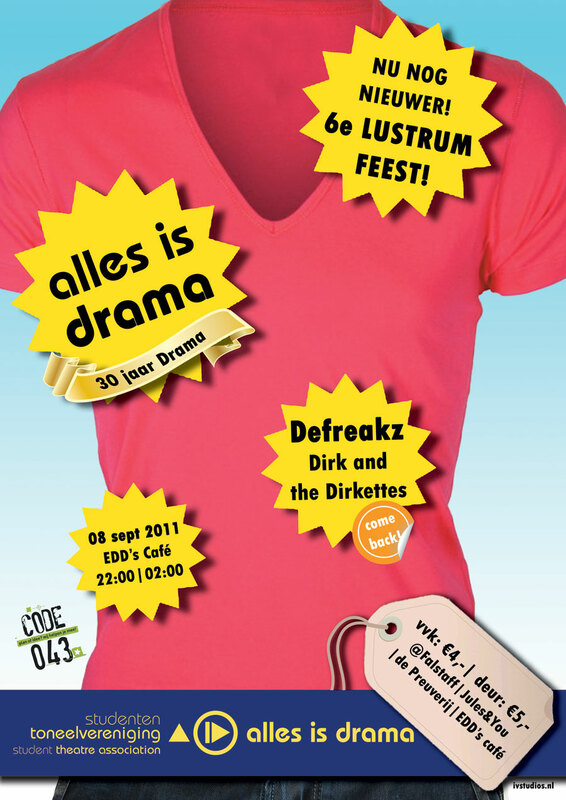 Alles Is Drama, the Student Theatre Association of Maastricht University, had their 30th anniversary. To promote their events we designed a poster. With no actual theme and the task to make it 'flashy', we decided to make it look like an advert so it would surely attract attention.